About the Author Adrian M. Riley FRES. Although a general Naturial Historian, Adrian's specialist fields are butterflies, moths, dragonflies, birds, orchids and fish. Author of six books and over 150 papers and articles dealing with butterflies, moths, birdwatching, lacewings and even a village pub! He is former Assistant Editor of the international journal The Entomologist. Photographer, scientific artist and leader of many insect- and birdwatching trips throughout the British Isles. Professional taxonomist for the Rothamsted Insect Survey for over 30 years. Former Trustee of the Norfolk Ornithologists’ Association. Transect recorder for Butterfly Conservation. Official recorder for the British Dragonfly Society. He has recently co-led wildlife-watching tours for Oriole Birding (see 'links') in Spain, Mallorca and Greece. At the time of writing he is the only person ever to have photographed all of the species and subspecies of butterfly found in the British Isles. 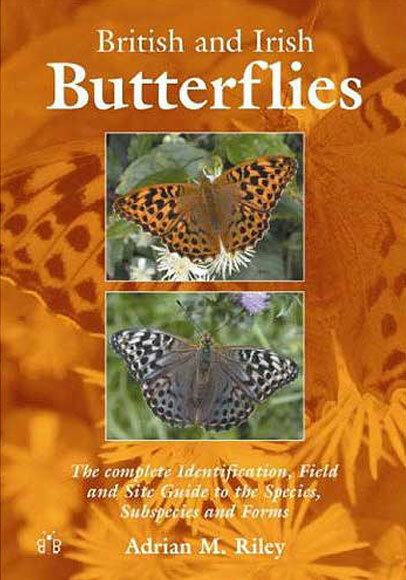 These appear in his book British and Irish Butterflies: The Complete Field, Identification and Site Guide. He is presently at work on British and Irish Dragonflies: A Photographic Identification Guide. 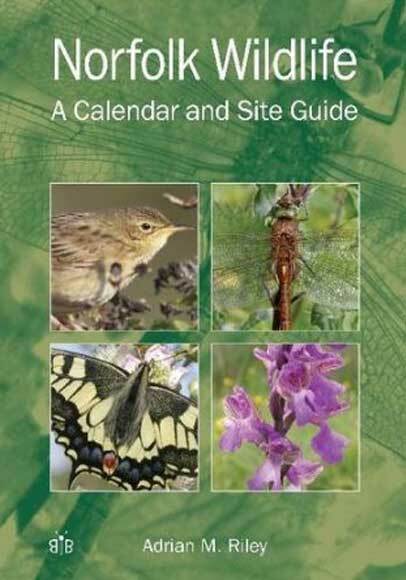 This Guide of Norfolk presents a Wildlife Calendar showing when, where and how particularly birds, butterflies, dragonflies and damselflies, orchids and other wildflowers can be found, followed by Recommended Sites to visit, with Yearplanners and checklists. 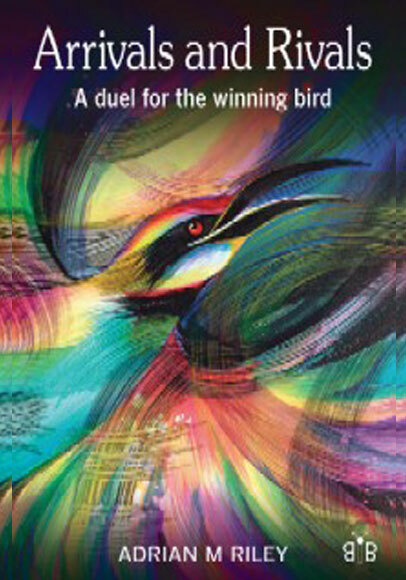 Birding is becoming one of the fastest growing outdoor activities, especially in the UK. 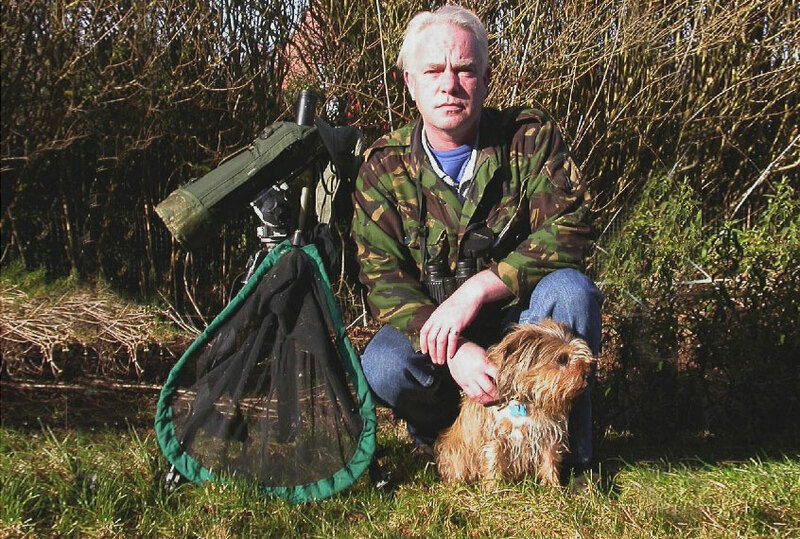 Adrian Riley provides with his book entertaining and highly illuminating insights into the obsessions - and passions - when he set out to become the nationally recognised 'Birder of the Year'. Birding is becoming one of the fastest growing outdoor activities, especially in the UK. 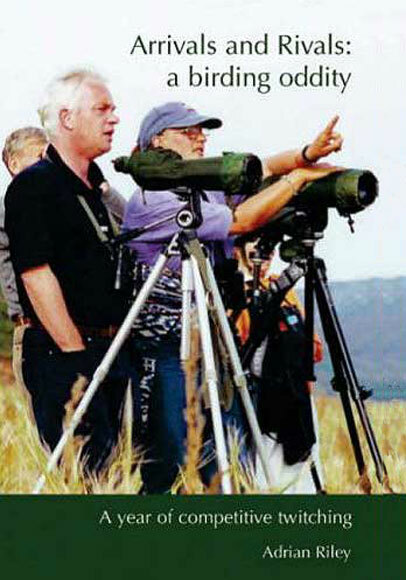 Adrian Riley provides with his book entertaining and highly illuminating insights into the obsessions - and passions - when he set out to become the nationally recognised 'Birder of the Year'. Includes many new photo's and a lengthy new chapter following the further adventures of the 'Silver-haired Man' in his searches for butterflies and dragonflies. Format and Pages: Paperback, 180pp. 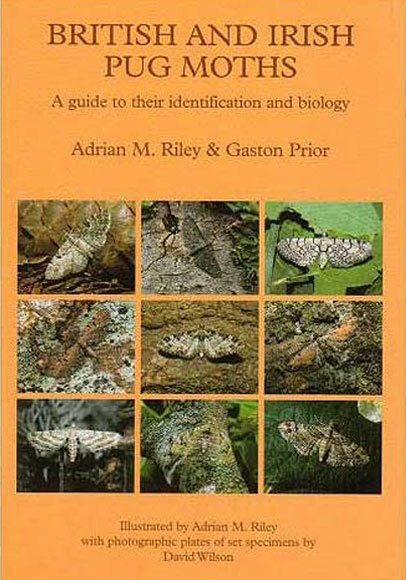 A wonderful butterfly book, the first to cover all the adult forms, including subspecies, in the British Isles. It provides clear directions and field tips on where to find them (incl. OS grid references), as well as details of identification and behaviour, and is complemented with stunning colour photographs of living specimen of all the taxa. Format and Pages: Paperback, 380pp. Descriptions of the biology and characters of all stages of the 52 species from Britain and Ireland, with maps showing the known distribution of each species on a vice-county basis. The larvae are illustrated in detailed black & white drawings, and the adults in colour photographs. Complete fauna covering the 624 species of macrolepidoptera and 639 species of microlepidoptera recorded in the county. The records cover some 130 years and therefore offer a clear indication of the changing status and distribution. Illustrated with colour plates and distribution maps. Between 1988 and 1990 Adrian was Assistant Editor for the international journal The Entomologist.